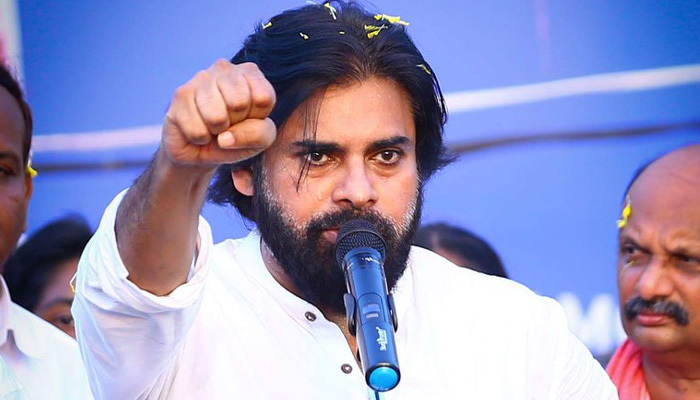 Power Star Pawan Kalyan chief of Jana Sena is going ultra-aggressive attacking his political rivals as elections are fast approaching in Andhra Pradesh. Pawan Kalyan earlier claimed that three influential persons are trying to murder him as they see him as a potential threat. Even as many started speculating who those three persons could be, Pawan now came up with shocking statements. Speaking to scribes he questioned whether he is an anti-social element or a terrorist that AP government is spying on him. He said AP CM Chandra Babu Naidu promised to prove him security cover but he sent back security cover, as the security personnel carried out intelligence operations spying on him using drones on his Jubilee Hills residence in Hyderabad. While Pawan's supporters and his fans are furious with CM Chandra Babu Naidu and AP government, his critics say Pawan is making these shocking claims to gain sympathy and ride to power on sympathy wave as he is bereft of any political issues.